What a start! 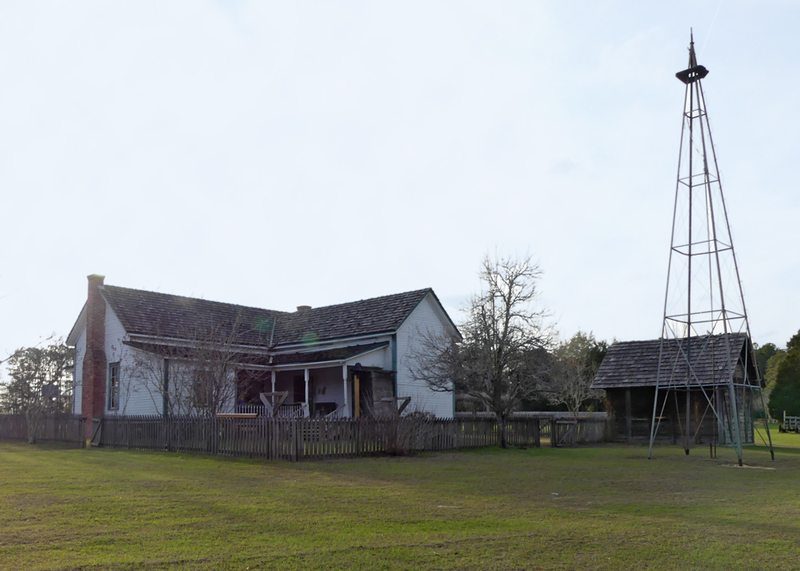 That farmhouse, built around the turn of the century was built by Bud Bush. He used heart of pine lumber from Lester H. Waddell's sawmill. Then in 1906 Mr. Waddell bought the house and farm. He married in 1909 and his new wife, Gypsy Hall, became mistress of the farm. The Waddells raised their three children in the cozy house; Earl, Byrd and Iona. Mr. Waddell died in 1956 and Gypsy remained in the home until her death in 1976. 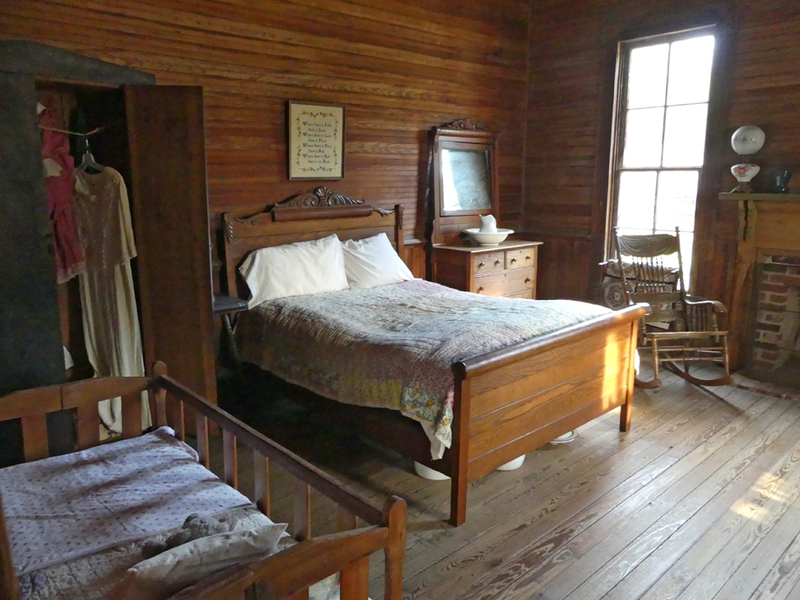 The bedroom in the Waddell House is much as it was when the family lived there. When you step into the Waddell House today, most of the furnishings remain as they were during the family's residence. 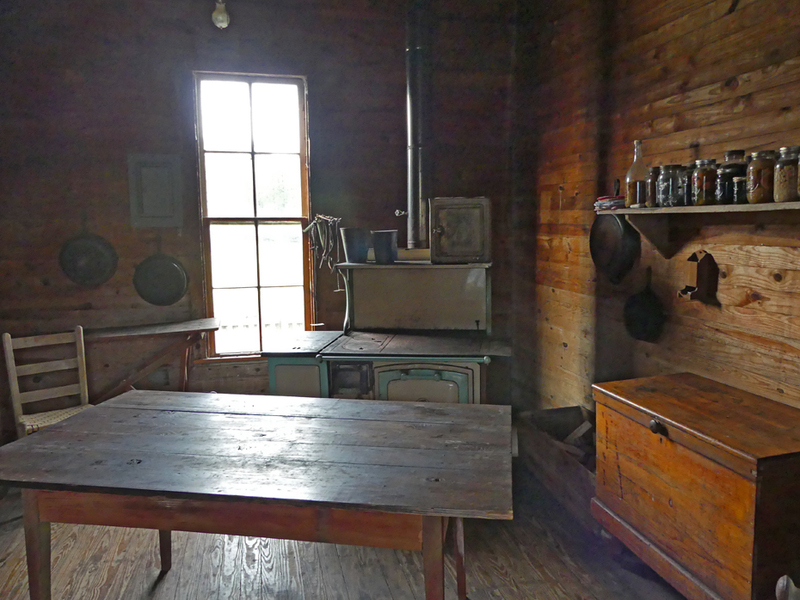 Imagine coooking on that stove? Laura showed us the small village buildings that have since been added on the now 135 acres; a general store, church, drugstore, one-room schoolhouse, soda fountain, a blacksmith shop and various machinery used in the late 1800. Browsing these buildings tells a story of people and a simpler way of life. It's easy to imagine Lester Waddell chatting with the local blacksmith in a shop much like you see here as the smithy repaired one of the Waddell farm implements. You can imagine Gypsy comparing the merits of materials for a new frock as she shopped for supplies and gossiping with other local women in Shelley General Store. Step into the Martin Drugstore and picture the Waddell children buying penny candy from a jar on the druggist counter on their way home from school. 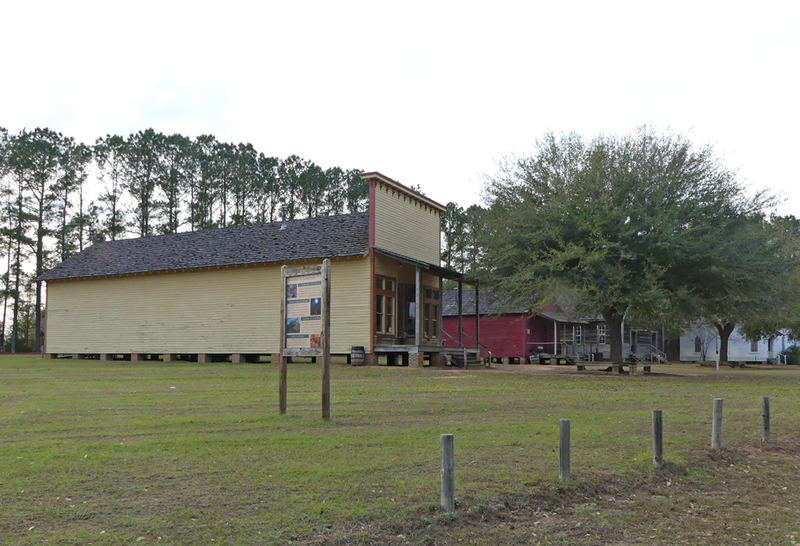 The Brown's Crossroads School, at Landmark Park is a one-room schoolhouse relocated from Dale County but is would have been similar to the one the Waddell children attended. 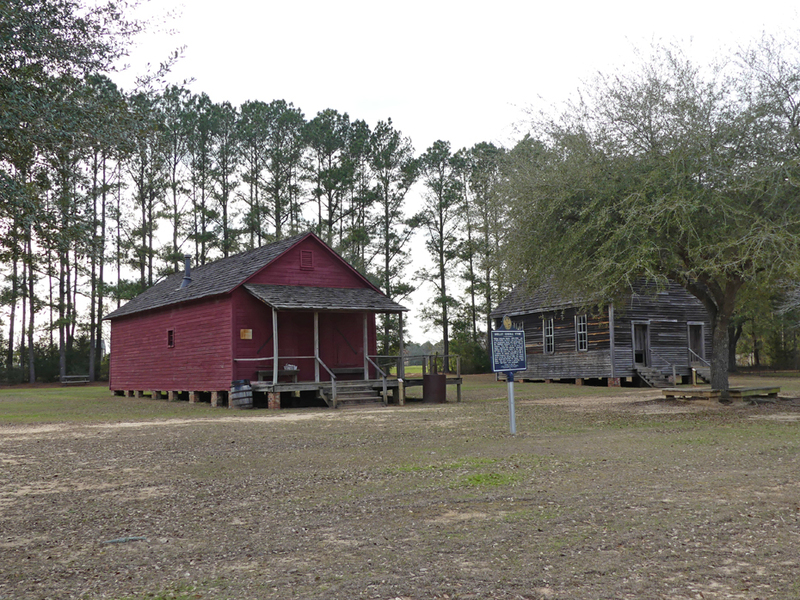 Wiregrass residents tended to be religious. When you farm, you pray a lot. On Sundays, the family might have worshipped in a church like the present one on site, Headland Presbyterian Church. 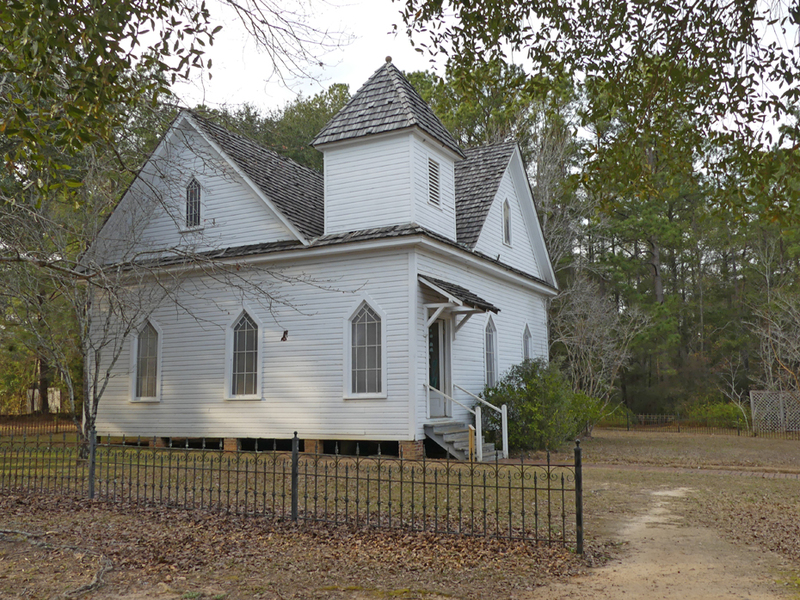 The 35' by 35' church was originally built in Headland in 1908 and donated to Landmark Park in 1983. The most fun is visiting the barn and farmyard and seeing the resident animals. There were chickens, a cow, pigs, and some lambs. 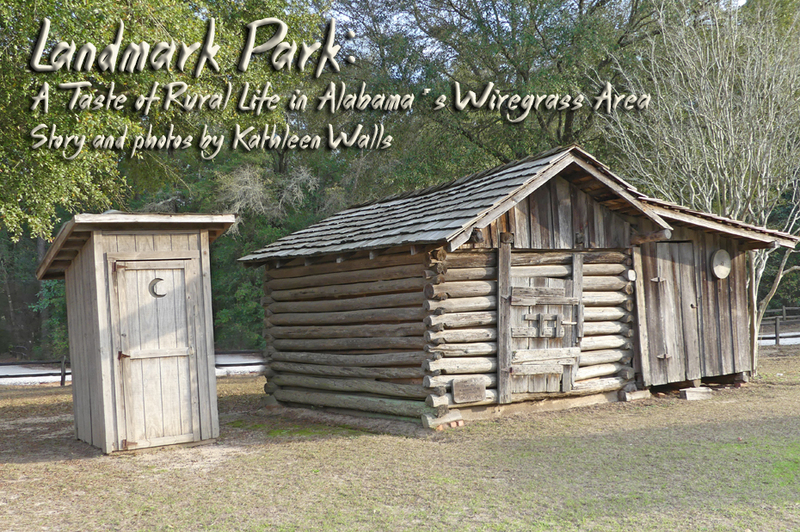 It is a typical Wiregrass Area type farmyard. 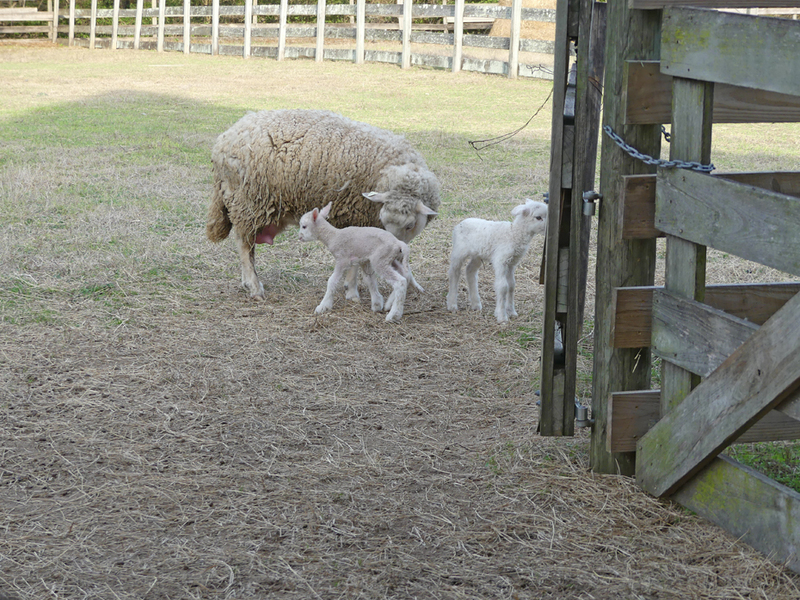 Especially interesting was a mama lamb that had just given birth about two days ago. She had two babies but was rejecting one of them. Mama sheep pushes away one of her babies. Dee Wolfe, the wife of maintenance/farm manager Doug Wolfe, was there and saddened by the neglected lamb. Dee works the farm part time as well in the Drugstore and Gift Shop. She took that baby home to foster it. I checked back with Laura recently and asked about the baby. She replied. "The baby is doing very well. Dee said that it follows her around like a dog. I think she will eventually give it to a friend who has a larger farm but I don't know that she has yet. He's a happy not-so-little lamb!" You will find something growing there no matter when you visit. 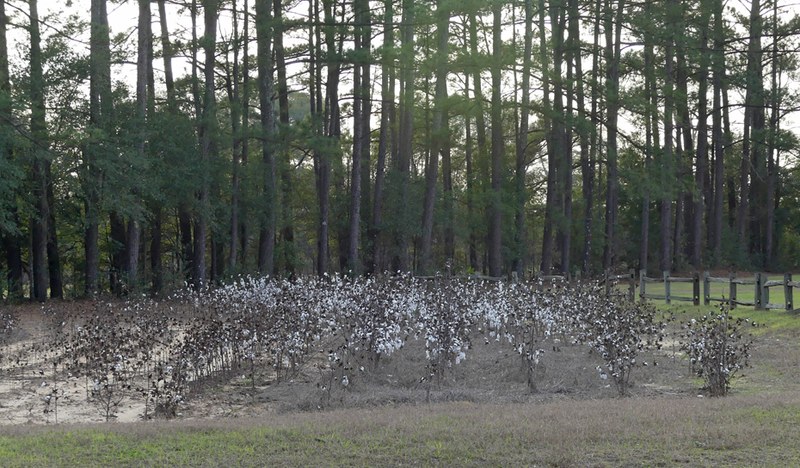 We spotted a small cotton patch. This is a wonderful place to take youngsters to learn not only history and agriculture but there is a large playground area designed to mimic an old homestead where kids can let off steam. There is even a planetarium, boardwalk, reptile exhibit and a demonstration bee hive. If you time your visit right there are many special events throughout the year. Learning has never been so much fun.